Tucson Daily Photo ~: Start your planning now! Tucson's famous and fabulous Day of the Dead Parade is just around the corner - NEXT weekend! 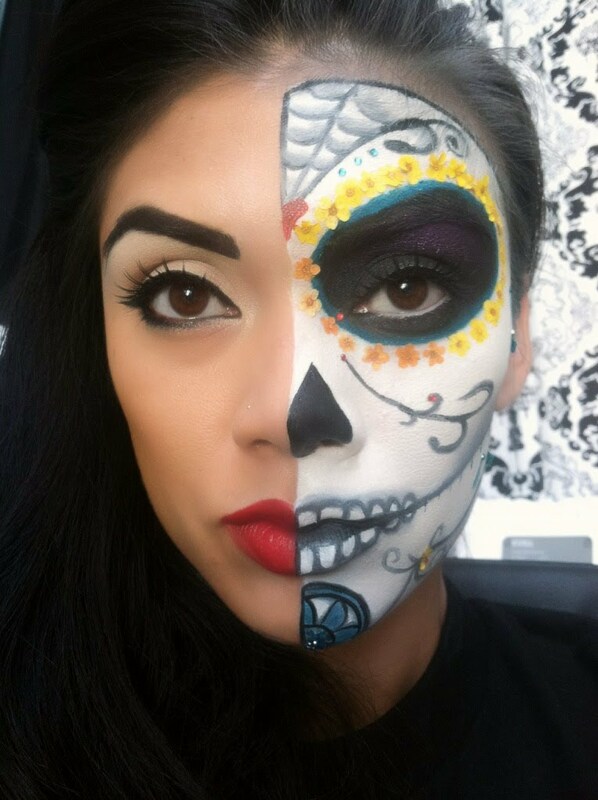 If you aren't sure about how to do your own SugarSkull makeup, here's a tutorial for you! If you want to make plans for what part of the route you want to watch or march in, here's the link that provides all details. If you landed here from out of town and don't know what the heck I'm talking about, the weekend celebration started in 1990 and has grown to attract more than 150,000 participants who gather to revel, dance, and honor their loved ones who have passed. The two-mile-long human parade (with floats!) culminates in the ceremonial burning of a large urn filled with hopes and wishes and prayers for those who we have lost. Terrific photo and links!! I am attending a "sensitivity" workshop and enjoy it but am baffled at the recent controversy about "cultural approbation." I don't agree that it is negative; without it we wouldn't have jazz, marvellous cuisine, Halloween, etc. What do you think?! I agree with you... Depending on how far we want to go with the concept of "Cultural appropriation" it even includes sports. I think that with the rampant racism that has emerged in this presidential campaign we should all be happy to have an opportunity to promote and enjoy customs from other cultures. Sorry I misspelled appropriation and thanks for the correction. Our current national atmosphere is so toxic because of the campaign that it need a little levity and balance. Honoring the dead as Dia de los Muertos is important and such a significant tradition.